Open Theism | J.W. Wartick -"Always Have a Reason"
Searching for an Adequate God (how’s that for a provocative title?) is a dialogue between process theists and open theists (aka free will theists). Process theism is most basically the notion that God is fully involved in and impacted by temporal processes like the free actions of creatures, the changing of nature, etc. (for a good summary of process thought, see here). Open theism (aka “free will theism” in this volume) is essentially classical theism, but with the notion that the future is “open”–that is, that some aspects of the future are yet undetermined and unknown (in that they are unknowable, because there are no facts about these open aspects of the future to be known). Given the major divergence between these positions, this book provides a fascinating dialogue and real insights into points of division between two radically different concepts of God. Intriguingly, the two positions also share many basic premises (as is emphasized by every author) such as an emphasis on human free will as a way to handle theodicy, the notion that God is temporal and impacted in some way by creation, and so on. The essays herein revolve, therefore, around these dual notions–the radical differences between the groups and the shared insights they argue they provide for theology. The essays by David Ray Griffin (process) and William Hasker (open), along with their rebuttals to each other, frame the debate in an extremely interesting fashion, as their essays truly show the great differences between the positions. In between, essays by the other contributors (and their responses to each other) offer frequently autobiographical reflections on the two positions. Perhaps most enlightening is the way that both positions show their distance on various points from classical theism and Christianity. Each of the Process contributors (and David Ray Griffin in particular) blithely dismissed or redefined the Trinity as a tertiary (as Griffin described it) doctrine for Christianity. This astounding claim demonstrates how vast the chasm is between the process view and Christianity. The open position, particularly as represented by Hasker, is highly critical of views of providence which entail God being even a secondary cause of evil. The value of Searching for an Adequate God is found in its many areas of clarification and insight: distinctions between process thought and classical Christian thought, clarifications on the meaning and extent of open theism, areas of mutual engagement between these divergent views, and more. It is a wonderfully fascinating book, even if I as a reader am deeply critical of both positions. I found it quite excellent. John B. Cobb, Jr. and Clark Pinnock, eds. Searching for an Adequate God (Grand Rapids, MI: Wm. B. Eerdmans, 2000). Thus, it is fairly central to the open theistic perspective that God does not (and indeed cannot) know the future exhaustively, and the parts God does not know exhaustively are such because free will is involved. For the open theist, then, the proposition: ‘God does not know the future free actions of creatures with certainty’ is true. Gregory Boyd, another prominent open theist, puts it this way: “open theists hold that if God is omniscient… and if the future is in fact partly comprised of ontological possibilities, then God must know the future as partly comprised of such possibilities” (Boyd, 195, cited below). Either God possibly created knowing that it was possible no one would be saved or at least one counterfactual is true. If I (God) create the universe, at least one free creature will be saved. Open theists must deny this statement as being known by God in order to maintain their stance that God cannot know the future free actions of creatures. But denying this counterfactual is theologically very problematic, because it means that the God who risks (to use John Sanders’ terminology) effectually risked so much that God decided to create a universe populated by moral agents without so much knowing that even one of these agents would be saved. Sure, one of the possibilities was probably that all such moral beings would be saved, but another possibility is that all moral beings would be damned. On open theism, God just didn’t know. Now it could be that God was 99.999999999(repeating)% sure that at least one agent would be saved, but according to open theism, God could not know. I would suggest that any theological system which seriously puts forth the notion that God would create without knowing that at least one being would be saved is a theological system that cannot maintain the moral benevolence of deity. The second part of the dilemma is also a serious problem for the open theist. Suppose the open theist embraces this part and counters “Very well, then God knew that at least one being would be saved.” But of course this would have been a CCF when God chose to create. Thus, the open theist would be forced to accept that at least one of these future counterfactuals is true. But if one is true, what possible grounds could there be for denying that others are true as well? It seems the open theist would either have to accept that CCF can be known without restraint (and therefore overthrow the philosophical framework of open theism) or simply engage in special pleading for those CCFs that must be maintained in order to not impugn the moral character of God. Greg Boyd has argued that free agents may have settled characters such that free will may not be a consideration (for the sake of space I’ve greatly summarized here; see Boyd 193-194 for one example). Perhaps at least one creature could have a settled will such that they are saved and thus God could know their salvific status without threatening to know CCFs. My response to this would be to note the highly controversial nature of this argument on a number of levels: 1) it suggests that humans are capable of, by their own free will, coming to such a point that they change their will into a form that will, with certainly, act according to God’s will, which is objectionable on a number of Scriptural grounds; 2) it holds to a view of human nature that both affirms and denies compatibilism; 3) the possibility of a “settled will” is difficult to establish or define; etc. Perhaps the open theist could respond by arguing that open theism need not deny that God knows CCFs. I do not think this would be possible while still maintaining open theism because it would mean God knows comprehensively the future including my future free actions. Perhaps the most fruitful counter for the open theist would be to deny that God’s moral character is impugned by creating without knowing that at least one person would be saved. Perhaps such an activity is merely morally neutral, or God’s other reasons for creating could overcome the difficulty. I think this is, as I said, the best avenue for open theists to pursue, but on reflection I think that the real possibility that God would create in such a way as to not know that the moral agents God brought into being would be saved–that they all might be damned despite that not being God’s intent–is extremely problematic. I believe that the dilemma offered above is, frankly, lethal to open theism. I have read several works by leading proponents of open theism and think that many arguments against the same are off the mark because they often do not hit on the points open theists actually hold. Here, however, I have presented an argument derived from the core of open theistic thought. Thus, I believe that open theism is untenable. It either impugns God’s character or is self-referentially incoherent. 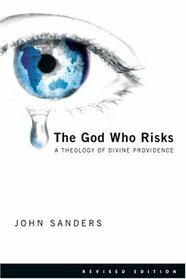 John Sanders, The God Who Risks (Downers Grove, IL: InterVarsity, 2007). Gregory Boyd “God Limits His Control” in Four Views on Divine Providence edited Gundry and Jowers (Grand Rapids, MI: Zondervan, 2011). I recently finished No Other God by John Frame. Seldom have I read a book with which I find I disagree so strongly on some issues, while agreeing adamantly on others. Frame pulls no punches and is unafraid to make sweeping generalizations and assertions. Due to the fact I pretty much split the book in half as far as things with which I agree or disagree, I shall proceed by noting these areas and close with a few conclusions. One of the strengths of Frame’s book is how clear his thinking is. His style of argumentation is precise, and he clearly lays out what he considers evidence for his positions. He is unafraid to make statements with huge implications. A particularly interesting aspect of Frame’s work was a brief historical look at the roots of Open Theism, leading it back to the Socinianism. Frame points out that advocates of Open Theism tend to portray their view as the “new theology on the block” despite the fact that it has been around (and rejected) for quite some time. 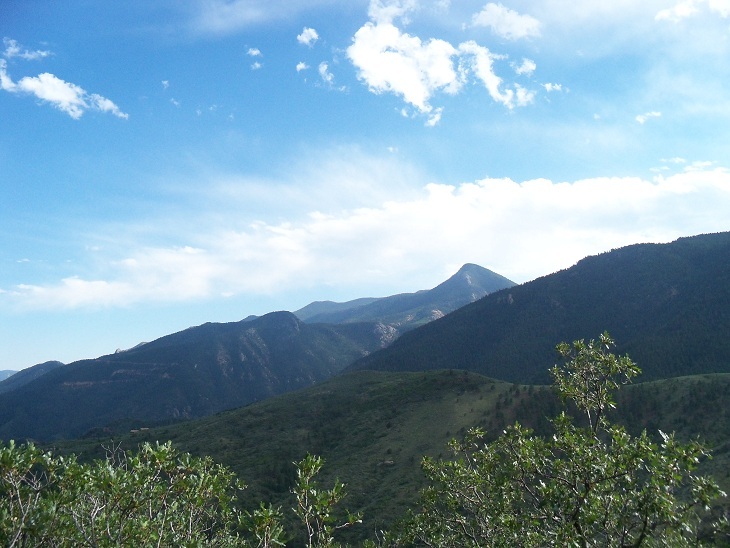 Frame levels strong critiques against Open Theism’s reading of Scripture. Open Theists tend to advocate the “straightforward” reading of texts which help their case. One of Open Theist’s favorite passages is God testing Abraham. Yet Frame rightly notes that if there is a straightforward reading of the text, then God did not know the present truth of Abraham’s heart, whereas Open Theists attempt to use this to support God not knowing the future (47). Further, if God was trying to figure out how Abraham would act in the future, then He was trying to do something He couldn’t (determine what the libertarian free choices of humans would be) according to Open Theism. So the story’s straightforward reading does not work to support Open Theism. 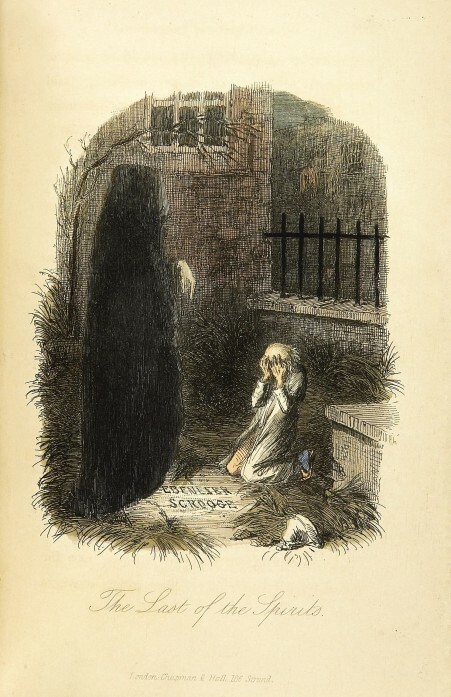 Frame urges a similar examination of other passages, though he doesn’t expand on it. Despite these areas of agreement, I vehemently oppose Frame’s position on several issues. Most notably, on theistic determinism, compatibilism, and libertarianism. First, libertarianism. Frame correctly notes that the core of Open Theism is the assumption of libertarianism. Yet his critique of libertarianism is wrongheaded. He caricatures libertarians as believing that choices are made in the absence of any motivation. He writes, commenting on the libertarian view, “if our decisions are caused by anything or anyone (including our own desires), they are not properly our decisions… to be responsible, we must be able to do otherwise” (121). Yet this is explicitly not libertarianism. Peter van Inwagen, for example, explicates libertarianism by saying “…that someone’s acts are undetermined does not entail that they are uncaused” (van Inwagen, An Essay on Free Will, Oxford: 1983, p. 14). But Frame explicitly centers his critique of libertarianism on a contra-causal account of freedom, saying, for example, “If guilt presupposed libertarian freedom, then in order to show that Hubert [a man accused of robbing a bank] is guilty, the prosecutor would have to show that his decision to rob a bank had no cause…” (126). But again, libertarians deny this very type of contra-causal freedom, so Frame is arguing against a straw man. Because Frame thinks libertarianism is so utterly central to Open Theism, this means that the core of his critique fails to hit home. The problem with Frame’s counter against libertarianism is that it barely touches the surface of the philosophical arguments for the position. He correctly rails against the idea that our actions are just random occurrences, but incorrectly assumes that this is libertarianism. “The uniform witness of Scripture is that the evils of this life come from God” (140). I’d be curious to see how Frame reconciles these assertions with the constant witness of Scripture that God is just; fair; good; opposed to evil; etc. Frame utilizes several verses to support his position, but he makes primary those which say God uses “all things” and verses which say calamities are from God. But regarding the former, this can easily refer simply to permissive will, and regarding the latter, the verses he uses are out of context (and even were one to grant the “straightforward reading,” one could counter by saying the calamities are not every evil action, but merely those things which God uses–i.e. storms, other nations, etc.–to instruct His people). Frame, like many theological determinists, is not building even on sand, but on a void. Literally saying that God causes evil is so utterly repugnant and contrary to Scripture that this view overshadows all the good things Frame has to say. Ultimately, No Other God is on target in a few ways, but it is wildly gunning the wrong direction on too many issues. Frame’s philosophical case against libertarianism is off the mark, he fails to deal with the strong philosophical arguments for libertarianism, and his view that God literally causes evil is baseless. 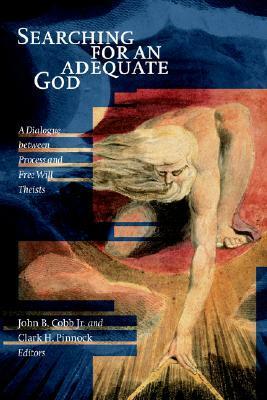 Interestingly, while I went in reading this book looking for some good arguments against Open Theism, I came out with the realization that theological determinism is a far more dangerous doctrine indeed. Check out other posts about Open Theism here. John Frame,No Other God (Phillipsburg, NJ: P&R, 2001).